All water resources for the home ie: wells, borewells, underground water tanks and swimming pools should be in the North-East zone because this is the water zone. The advantage of having water resources in the North-East is that the water absorbs the beneficial UV rays of early morning sunlight. 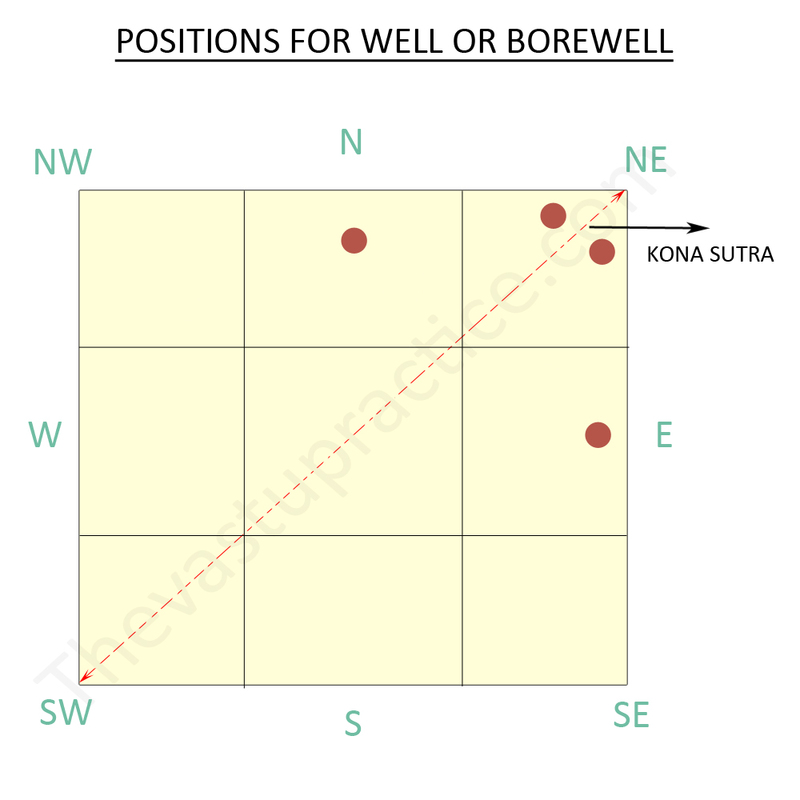 Care should be taken that the water resources should not be located on the Kona Sutra. The water resources should not obstruct the main gate or main entrance. The water resources should not be in the center or Brahmasthan of the plot. If the water resources cannot be located in the North-East then they can be located in the East or the North. The water resources should not touch the North or East compound wall nor the main building.